Square Enix's Kingdom Hearts: Birth By Sleep managed to maintain its bestselling status in Japan this week, fending off the triple platinum seller New Super Mario Bros. Wii in it second week. 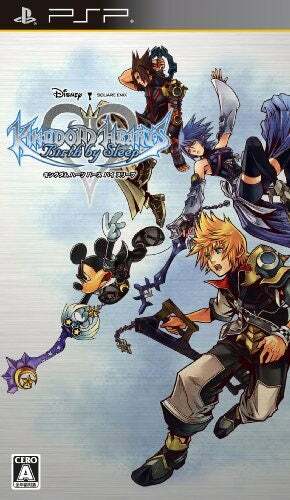 The newest Kingdom Hearts for the PSP didn't have much in the way of competition, with the exception of top ten debuts Resident Evil: The Darkside Chronicles for the Wii, Tekken 6 for the PSP and Last Window: Mayonaka no Yakusoku for the Nintendo DS. A handful of games already released in the West managed to secure top thirty spots on Media Create's weekly sales chart. The Japanese debut of Batman: Arkham Asylum and Operation Flashpoint: Dragon Rising can be spotted on this week's chart. For the bestselling games in Japan for the week of January 11 to 17, look down.